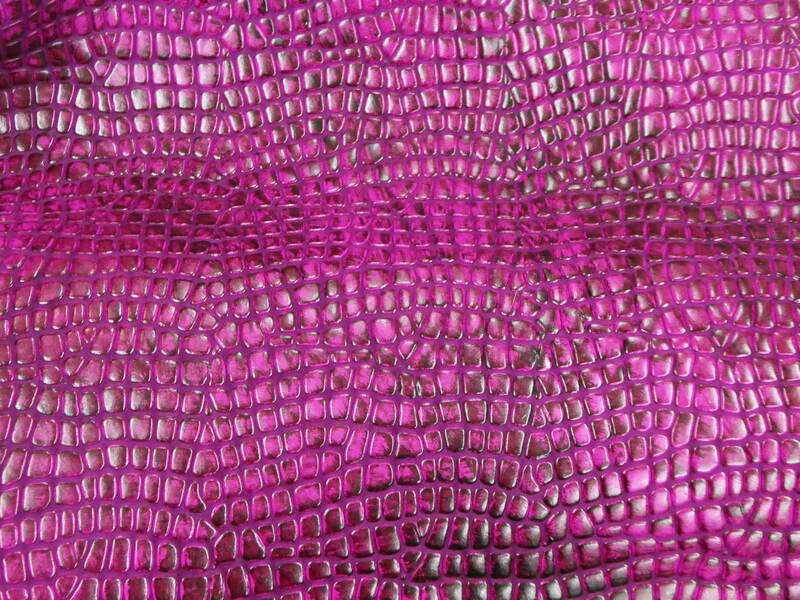 Leather 12x12 Magenta / Purple GLAZE Marbled Croco Cowhide 2.5 oz/1 mm PeggySueAlso™ E8250-02 Now a Stock item! 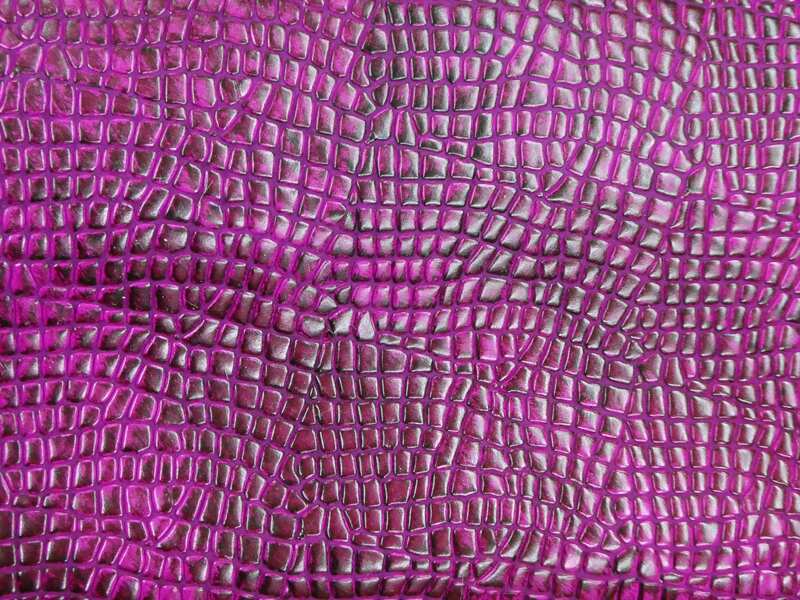 Leather 12"x12" Magenta / Purple GLAZE Marbled Croco Cowhide 2.5 oz/1 mm PeggySueAlso™ E8250-02 Now a Stock item! 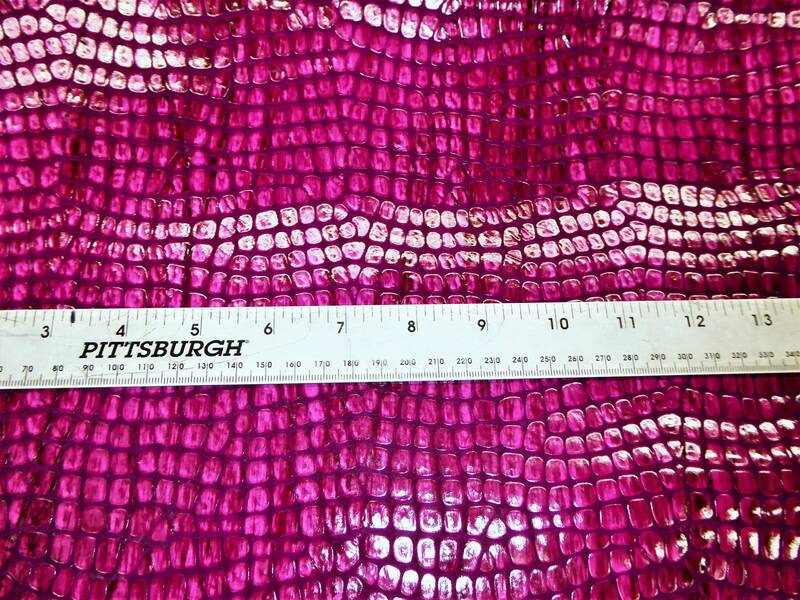 The pebbled pattern stands up from the background. Backside is a suede of the same color that is not pretty, for it shows the pattern from the front. Excellent quality as always! Exactly as pictured and described. Will purchase again! 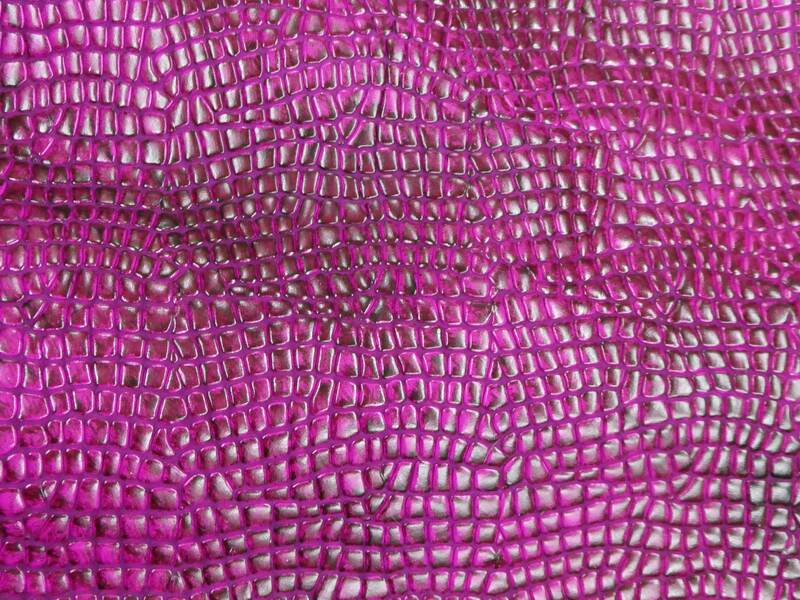 This hide is in my top 5 favorites!! Beautiful piece that works perfectly for my custom halters!